I graduated from the Ph.D. program after defending my thesis in Aug 2014. I joined Duolingo in Sep 2014. I have been interested in applying Natural Language Processing, Machine Learning, and Artificial Intelligence to solve real world problems. In Duolingo, we develop a language learning app used by 100+ million users all over the world. I mainly work on optimizing the "engine" component that dynamically generates a sequence of challenges in a way that a student can learn a foreign language efficiently. While at CMU, my research interest included automatically acquiring paraphrase knowledge using weakly-supervised machine learning models, and its application to Question Answering, Recognizing Textual Entailment, automatic evaluation of Information Access system, Information Extraction, and Information Retrieval. I was one of the original core technical team members of DeepQA (IBM Watson) who were developing a system toward competing on Jeopardy! TV show against human champions. I created and lead shared tasks for recognizing textual entailment, paraphrase and contradiction, called RITE where more than 20 research organizations participated internationally. News: In Aug 2015, my interview article appeared on Lifehacker Japan (link). In April 2013, I released WS4J Web Demo. The goal of DEFT is to apply sophisticated AI / NLP to enable analysts to efficiently discover not only explicit but also implicit information from orders of magnitude more text documents. Our team, led by Eduard Hovy and Teruko Mitamura, focuses on research involving Event Detection and Event Coreference Resolution. Especially, I worked on the hard cases where the surface form of the event mentions cannot be literally interpreted (e.g. "pulled a trigger at" and "shot"). To this end, I built a semi-supervised machine learning model that can automatically acquire a domain-specific thesaurus that covers more diverse forms of expressions than existing thesauri do. This project, led by Kemal Oflazer and Teruko Mitamura, aims to develop intelligent educational software for English language learners. I worked on a monolingual statistical Machine Translation model for paraphrase generation as well as automatic simplified vocabulary annotation on text. The MRP's RACR (Reading and Contextual Reasoning) team was led by Chris Welty (IBM), Eric Nyberg, and Teruko Mitamura where we built a text engine that captures universal knowledge from naturally occurring unstructured text and transforms it into the formal representations used by artificial intelligence (AI) reasoning systems. Part of my contributions include: (1) building a mixture-of-expert model that can merge outputs from various different NLP components (Entity/Relation Extractors), so that strength complement each other; (2) building automatic evaluation software for entity and relation mention extraction accuracy which also provides tools to analyze errors and visualize result diagrams. In this project led by Emre Velipasaoglu and Eric Nyberg, we worked on developing a model which can be used to identify complicated information needs using years of question-answer data asked in Yahoo! Answers. We utilized Apache Hadoop to efficiently obtain features from unigram, POS, to super senses. Collaborators: Pinar Donmez and Ana-Maria Popescu. Position: Research Scientist Student. At IBM T.J. Watson Research Center, New York, I spent three months as a full-time research intern in the Watson (Jaopardy! / DeepQA) Question Answering project (PI: David Ferrucci; mentor: Eric W. Brown). The Watson QA system later became very famous when it played in the Jeopardy! TV show and beat the grand champions. I researched in one of the algorithms used to score answer candidates. The algorithm analyzes supporting evidence found in a set of text passages retrieved for each candidate answer, and estimates how well they support the answer by modeling the semantic similarity between the passages and the Jeopardy! clue. The research resulted in a part of Watson system and one journal publication. We built a Complex Cross-lingual QA system English-Japanese, in collaboration with IBM Research - Tokyo (Koichi Takeda and Hiroshi Kanayama), which can answer various (e.g. definition, biography, relationship, event, person, location etc) kinds of questions that may be asked in Business Intelligence scenario. The system has been evaluated in NTCIR ACLIA and resulted in a good performance. The project also resulted in an HTML-based annotation viewer for UIMA. As a graduate research assistant, I contributed in building open-domain Factoid and Complex Question Answering systems where I worked on crosslingual English-to-Japanese (EJ) and monolingual Japanese-to-Japanese (JJ) modules. My experience varies in various aspects of the QA research, e.g. Question Analysis, Named Entity Transliteration, Document Retrieval, Information Extraction, Answer Summarization, web-based demo, and batch evaluation with automatic error analysis. As a result of intensive research effort, the Javelin system achieved remarkable results in competition style evaluation-oriented QA tasks similar to TREC and CLEF; we achieved the best result among participants in NTCIR-6 CLQA JJ subtask, NTCIR-7 ACLIA CCLQA EJ and JJ task, and NTCIR-7 ACLIA IR4QA EJ task. PI: Eric Nyberg, Teruko Mitamura. 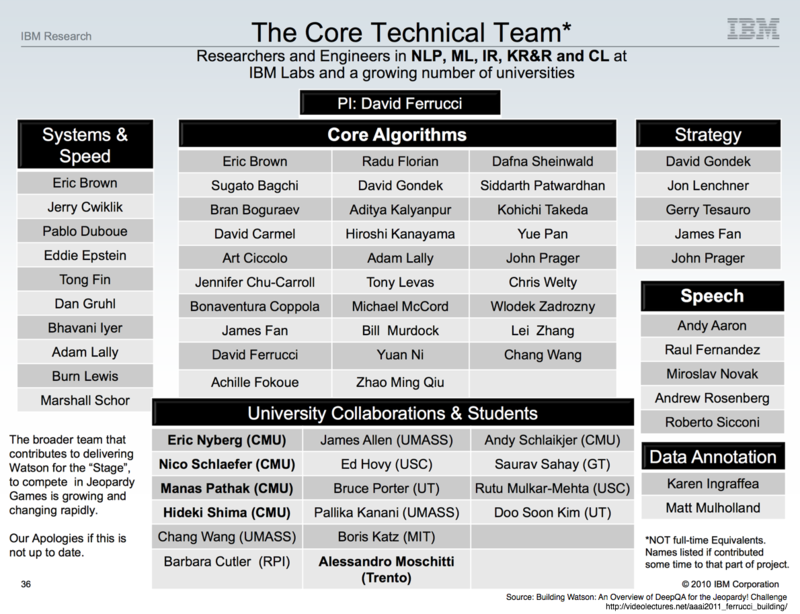 Collaborators: Ni Lao, Mengqiu Wang, Frank Lin, Matthew Bilotti, Andy Schlaikjer, Jeongwoo Ko, Jim Rankin, Eric Riebling, David Svoboda. Shima, Hideki and Teruko Mitamura. 2012. "Diversifiable Bootstrapping for Acquiring High-Coverage Paraphrase Resource", in Proceedings of The Language Resource and Evaluation Conference (LREC) 2012, Turkey. (PDF), (PPTX). Shima, Hideki, Yuanpeng Li, Naoki Orii, and Teruko Mitamura. 2011. "LTI's Textual Entailment Recognizer System at NTCIR-9 RITE", in Proceedings of NTCIR-9 Workshop, Japan. (PDF). Sakai, Tetsuya, Noriko Kando, Chuan-Jie Lin, Ruihua Song, Hideki Shima, and Teruko Mitamura. 2009. "Revisiting NTCIR ACLIA IR4QA with Additional Relevance Assessments", IPSJ SIG Technical Report Vol.2009-DBS-148 No.9 / Vol.2009-FI-95 No.9, 2009. Shima, Hideki. 2004. "Automatic News Aggregation for Children", Bachelor's Thesis in Waseda University, Tokyo, Japan. (In Japanese). AWARD The Allen Newell Award for Research Excellence (with Eric Nyberg, Teruko Mitamura and Nico Schlaefer) Past recipients of this award inlcude Turing award winners Ken Thompson and Edmund Clarke. TEACHING ASSISTANT Spring 2009, 11-792 Software Engineering II (graduate level): Advising four student projects: HoneyDew (meeting scheduling agent that interprets emails), WebRecommender (web page recommendation system), STAT (unsupervised learning toolkit), PIGOptimizer (Hadoop's command optimization subproject). Fall 2008, 2009 and 2010, 11-791 Software Engineering I (graduate level): Designing and grading individual assignments, exams and team projects. Giving a tutorial lecture for the tools/skills needed in the team project, including Subversion, Trac, Maven2 and Test-Driven Development with JUnit. Wikipedia Redirect can extract pairs of a title and a redirected title (e.g. "USA" -> "United States") from a wikipedia dump on any language. It's useful for addressing vocabulary mismatch in text especially on proper nouns. DIMPLE (DIversity-aware Metric for Pattern Learning Experiment) evaluates paraphrase patterns considering with lexical diversity. The software comes with a data loader for RTE, MS Paraphrase, and TREC Complex QA evaluation datasets which could be reused in other projects. RITE SDK provides a Java framework for rapidly building a Textual Entailment recognition system especially toward participating in the NTCIR-9 RITE evaluation task. RITE SDK comes with a sample code, so you can rapidly build a working system by modifying it. SEPIA is a web based tool for topic development and evaluation for Information Retrieval and Complex Question Answering. Officially used in NTCIR-7 ACLIA, NTCIR-8 ACLIA and GeoTime. 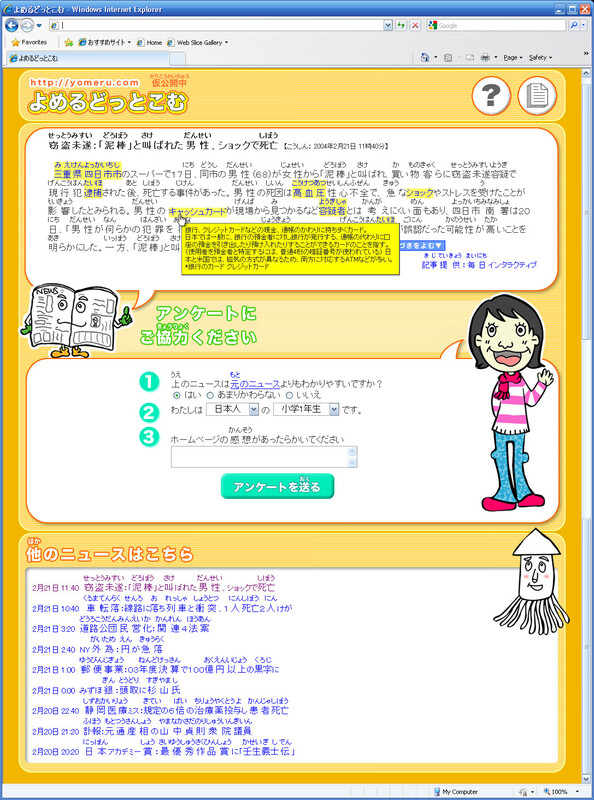 JAWJAW is a Java API for the Japanese/English WordNet. Annotation Viewer based on UIMA CAS Consumer enables anyone unfamiliar with UIMA to browse NLP annotations. Ask me to get the code. Here is a sample output from HTML Cas Consumer and ASCII Annotation Cas Consumer. UCR or UIMA Component Repository is a web based repository where developers can upload their UIMA components to share. As one of start up members consisting of CMU students and IBM researchers, I contributed in object oriented analysis, design and implementation especially in search part. 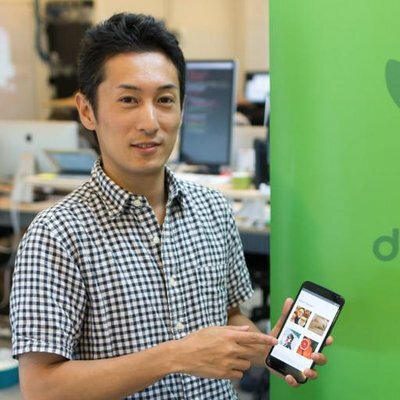 "Interview with Hideki Shima, A Japanese Engineer in Duolingo Lifehacker JP" (in Japanese), Lifehacker JP, 08/09/15. "Free Language Learning App Duolingo Raised 5.5 Billion Yen from Google VC, Nikkei BP" (in Japanese), Nikkei BP, 06/15/15. "Man versus machine: Chalk one up for the latter in 'Jeopardy! '", Pittsburgh Post-Gazette, 02/17/11. "Watson Wins Jeopardy Challenge", CMU Blog, 02/17/11. CMU-IBM Super Computer Beats Humans On ‘Jeopardy’, CBS Pittsburgh, 02/16/11. "CMU and IBM Collaborate on Open Computing System for Advancing Research on Question Answering", PR Newswire, 02/11/11. Invited live-blogger in Smartest Machine on Earth, PBS Nova, 02/14/11. "It's man vs. machine in 'Jeopardy!' showdown", Pittsburgh Tribune, 02/09/11. Talked in postcast Information Retrieval News, 2015. Wrote 5 pages in "Artificial Intelligence that can answer questions", Science Forum, Tokyo University of Science, May 2012 edition. Wrote 12 pages in "How did IBM Watson defeat the quiz champion? ", ASCII.technologies May 2011 edition. Wrote 12 pages in Studying Abroad in Graduate Science Programs, ALC, 2010. Wrote 3 articles in EWE Web News, Waseda University, 2008. Wrote 1 article in Weekly New York Seikatsu, 2008. Wrote 6 articles in NEC Nouvelle blog, 2004.